Well, fall is officially here. Bring on the fall colors! 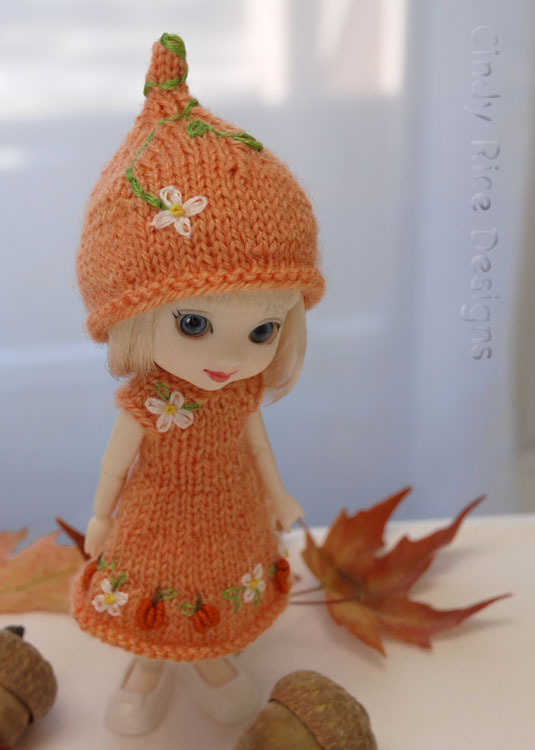 Here is Amelia Thimble modeling her new fall dress/hat set for you. 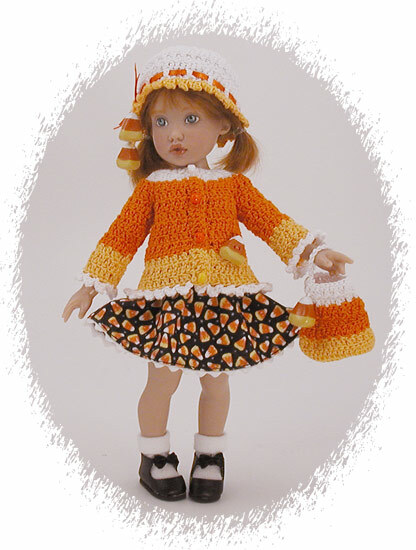 It is knit in a hand dyed light shade of pumpkin and hand embroidered with teeny tiny bullion stitched pumpkins, white blossoms, and greenery. Oh, and every pumpkin needs a perfect little stem. 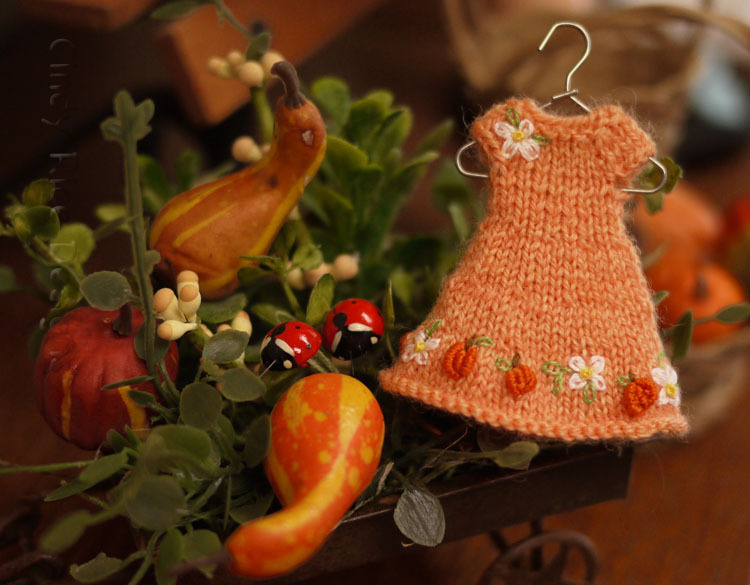 Amelia’s cap is pumpkin shaped and decorated with more embroidery. 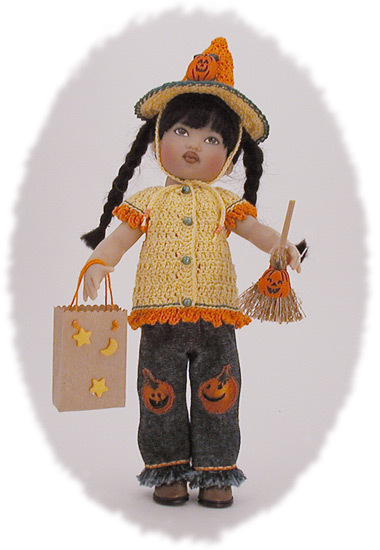 This entry was posted in Amelia Thimble, Autumn, Doll Dresses, Doll Hats, Embroidery, Halloween, Knitting and tagged Amelia Thimble, doll dresses, embroidery, Halloween, hat, knitting, Wilde Imagination on September 24, 2014 by Cindy Rice. Happy Halloween from Riley, Tulah, and Zsu Zse! 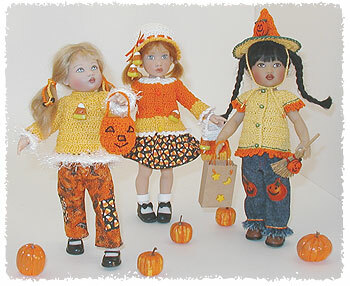 These sweet little dolls came to your house to trick-or-treat. Do you have any candy for them? I dug this photo out of my archives. I made these outfits in 2005! Gosh, I cannot believe it’s been eight years. 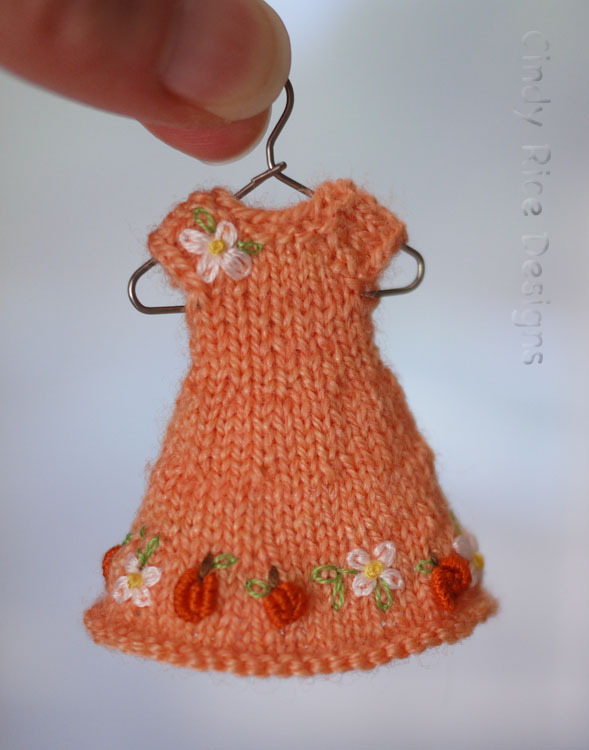 The sweaters are crocheted. I remember making the little candy corn buttons out of artists clay and then painting those tiny pieces with my tubes of acrylic paint. 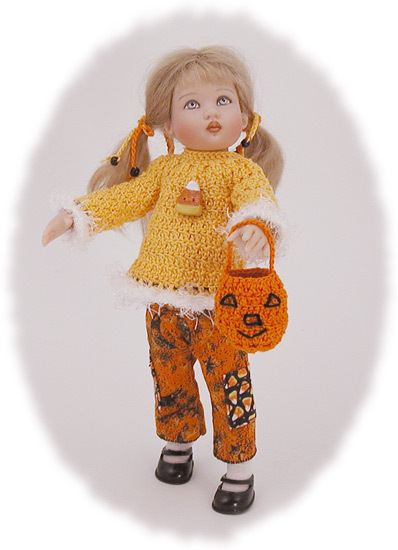 This entry was posted in Archive Pictures, Crochet, Dolls, Halloween, Kish, Sewing and tagged crochet, doll, Halloween, Kish doll on October 31, 2013 by Cindy Rice.